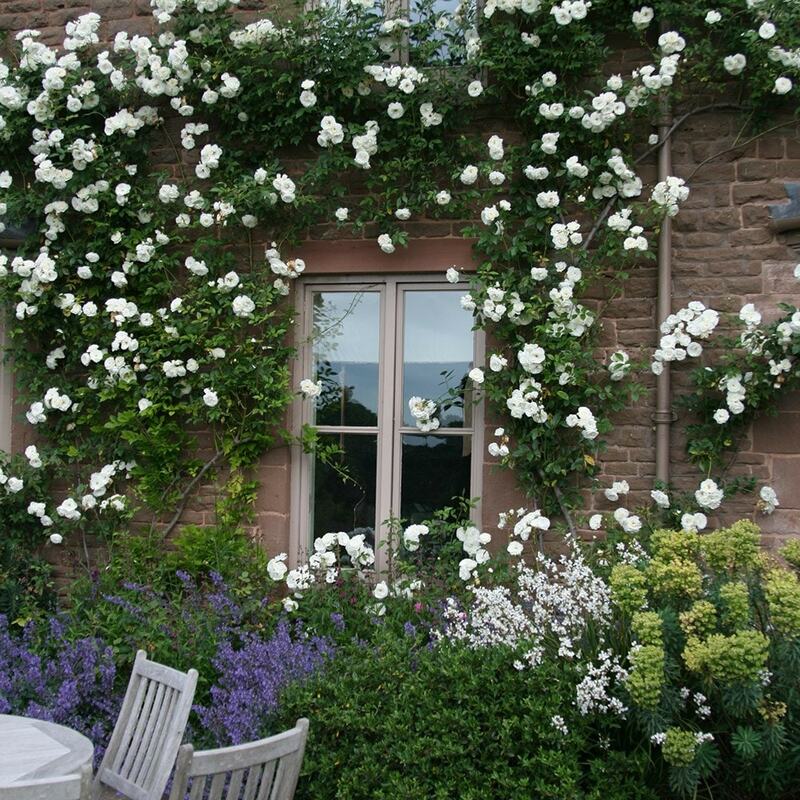 This climbing rose is attractive and quite vigorous, so not too long to wait for the desired effect! I bought this rose from you last year and although it has put on a lot of growth,I have been tying it in laterally and it has sent up new shoots spectactularly it has only produced 3 or 4 blooms. What am i doing wrong? Hello, The most likely causes for a lack of flowers are either not enough sun or feeding it with the wrong thing. Fertilisers that are high in nitrogen will encourage the plant to put on leafy growth, while high potash feeds encourage the production of flowers. Ideally, roses should be fed with a specialist rose fertiliser which will have just the right balance. Hello, Many roses (including climbing Iceberg) are susceptible to blackspot. This is a fungal disease that is spread by wind and rain and usually causes leaf spotting and yellowing and eventually defoliation. To keep it under control, you should cut back any stems that have lesions in spring and collect all the fallen leaves. You should also spray with a suitable fungicide (Westland Plant Rescue Fungus Control, Bayer Garden Systhane Fungus Fighter, Bayer Garden Multirose Concentrate 2 and Scotts Fungus Clear Ultra), ideally alternating their application as the disease has the ability to become resistant to just one treatment. It is also worth keeping in mind that a rose that is kept well fed and watered is less likely to succumb, so do make sure it gets the best treatment. As for the wayward stems, they will need to be tied onto the support to prevent them going awol. Is this rose suitable for growing in a large container? Which Roses will still be flowering in September? I am getting married in September and want to give my parents a present to say thanks for all their help. I thought a rose bush would be a really good idea as it should last a long time and will remind them of the day. Ideally I would like to present it to them in flower on and would like it to have white flowers. Any suggestions?